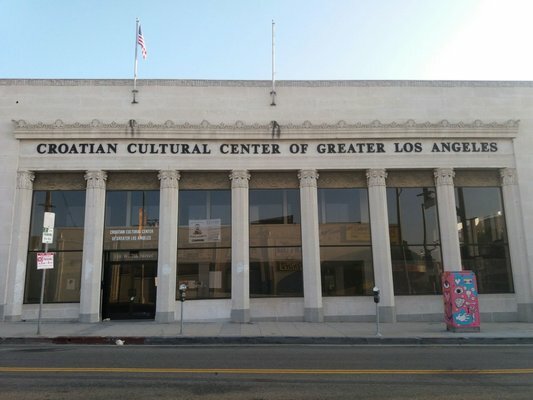 It’s been a year and two months since the City of Los Angeles learned that the Croatian Consulate couldn’t relocate its offices to the Croatian Cultural Center. At the time, Consul General Sinisa Grgic claimed that the building standards and security required by the European Union ruled out the move to the center at 510 W. Seventh St., in San Pedro. District 15 Councilman Joe Buscaino’s office was supposed to be working on a re-imagining of the center as a more prominent Croatian American venue that could highlight and draw broader cultural interests from throughout the Los Angeles metropolis. Buscaino has been silent on the issue and the Croatian Cultural Center has been empty ever since. It didn’t have to be this way. Friends of the Croatian Cultural Center was ably accomplishing the mission of the center until the nonprofit organization was fired. On April 10, 2017, former City Councilman Rudy Svorinich, who arranged the city purchase of the old 1928 bank building during his term as representative of the 15th District in the 1990s, along with the executive board of the Croatian National Association orchestrated the ouster of Friends of the Croatian Cultural Center (a member organization) with a letter to the Buscaino. They claimed that “for too many years, the Croatian Cultural Center has been under-utilized, its board of directors non-existent and its original purpose having been compromised” an accusation rebutted in this Op-Ed. Two weeks later, Buscaino presents a motion to the Los Angeles City Council to execute a lease with the Croatian consulate, execute a Right of Entry permit to the consulate and issue a 45-day notice to the Friends of the Croatian Cultural Center to vacate the premises. I was amazed by Svorinich’s statement in that it he was either locked in a box, completely unaware of the events put on by the center, or just completely daft. Since 2009, the Friends of the Croatian Cultural Center had been operating the center and hosting high profile events that promoting Croatian culture, while ensuring that the rest of San Pedro could also have use of the space. This approach created a thriving Center for culture according to our memorandum of understanding. Izvor ― Croatian singers regularly performed at the center. And host of regular events including film screenings, concerts, art exhibits, and book presentations regarding the statehood of Croatia, Croatian Christmas and Croatian Mother’s Day. Croatian Consular Days twice a month. The Center also had an in-residence senior citizens “Reader’s Theatre Repertoire,” a community group that put on events for San Pedro’s senior citizens. The San Pedro Art Association, an organization that has worked with the Friends of the Croatian Cultural Center since 2010 in hosting the Center’s annual Croatian-Hispanic cultural celebrations, has staged performances by dance ensembles such as Raíces Peruanas and Ballet Folklórico Xhanát. author Miro Gavran included his very popular Washington’s Loves, and sold out play, at the Little Fish Theater featuring My Wife’s Husband. The center also actively participated in the monthly San Pedro Art Walks, the Congressional Art Exhibit in collaboration with the San Pedro Art Association, offered regular art exhibits of recognized and developing artists and hosted student art shows. All of the exhibits had live musical performances from Europe, Asia, Middle East, Central and South America, all together representing 50 countries, over 400 events in 8 years. Croatian Christmas, which featured Ambassador Kolinda Grabar Kitarovic and internationally renowned Croatian musicians Filip Novosel and Tihomir Hojsak. Additional achievements include the installation five sectioned 10 by 60 feet mural, History of Croatia by Marija Miletic Dail and a window display featuring the history of Croatian settlers in San Pedro as a symbol to its Croatian community, commissioned by the San Pedro Bay Historical Society and the Friends of the Croatian Cultural Center. Svorinich accused the Friends of the Croatian Cultural Center’s programming as too multicultural and used that allegation as justification for pushing the Friends of the Croatian Cultural Center out. The center’s vacancy is really a story of how San Pedro’s Croatian Cultural Center was stolen by tampering. The board of directors for the Friends of the Croatian Cultural Center only learned about the Croatian Consulate’s intention to move its offices to the center and Buscaino’s motion to terminate the Friends of the Croatian Cultural Center’s Memorandum of Understanding through an April 26, 2017 Daily Breeze article by Donna Littlejohn. There was never a discussion that included the Friends of the Croatian Cultural Center in this matter. The Friends of the Croatian Cultural Center was only notified of this meeting at 11:37 p.m. May 8, through an email sent by Buscaino’s chief of staff, Jacob Haik, who said the meeting was to take place at 2:30 p.m. on May 9, 2017. The meeting was conveniently switched to an earlier time of 9 a.m. The convenient switch in time prevented us from ensuring more supporters of the Friends of the Croatian Cultural Center knowledgeable were present. We believe Haik intentionally delayed telling us the time of the meeting. Consequently meeting attendance was an evident arrangement, by Svorinich, Consul General Sinisa Grgic, clergy of the Croatian catholic church St. Anthony’s, and the large group of supporters, while Friends of the Croatian Cultural Center had only one representative Sena Denktas. due to the last minute notice. Interestingly, Denktas comments were perfectly “indecipherable” in the transcript of this meeting and anything she said regarding the Center was conveniently missing. Grgic claimed that more than 50,000 Croatians live in San Pedro. That was incorrect. Only 3,200 self-identified Croatians live in San Pedro. Grgic said he would “like to support most of [Friends of the Croatian Cultural Center’s] activities and continue to cooperate … [and] keep this cultural component within the cultural center” — not true. Grgic never reached out to the Friends of the Croatian Cultural Center and he refused to include the Friends of the Croatian Cultural Center in any discussions. 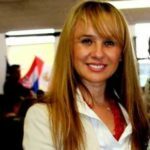 In fact, Grgic moved to discredit the center’s activities and myself (the Friends of the Croatian Cultural Center president), to the Croatian community and other consulates in Los Angeles. 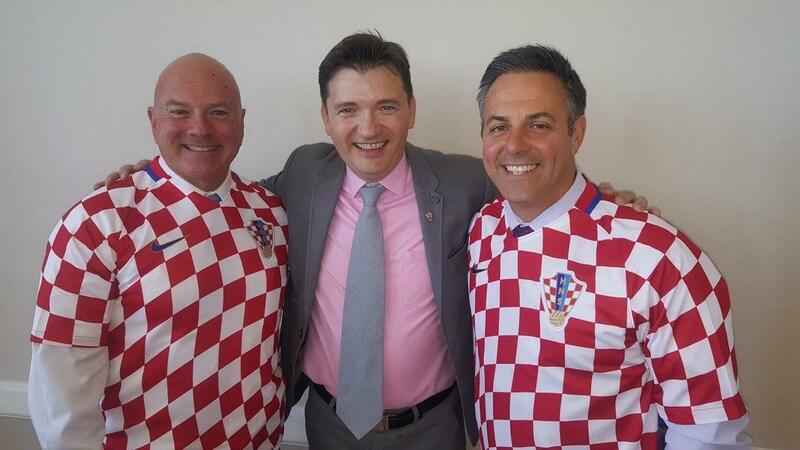 Despite these backroom assaults against the Friends of the Croatian Cultural Center, the Friends of the Croatian Cultural Center ensured its booked calendar of events happened, including the Croatian Consular Days. The Friends of the Croatian Cultural Center’s attempted to defend the center, however, we were ignored. 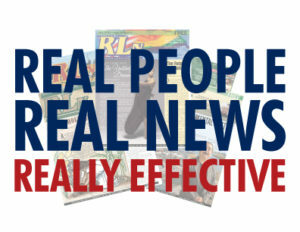 However unjustified the termination of the Friends of the Croatian Cultural Center’s memorandum of understanding, the question that has never been answered is why did the Friends of the Croatian Cultural Center eviction have to be expedited when the Croatian Consulate never submitted a relocation request to the U.S. State Department? The State Department requires a written request in order for a foreign mission to purchase or lease property in the United States. Time is needed to allow for this approval. Buscaino’s motion was approved, on May 9, 2017, without support by necessary documents. An official inquiry by the Croatian Government to the State Department is still to be found for the original intended date of relocation. The same rules that were intact since the beginning of the relocation for the center. However, the termination of the Friends of the Croatian Cultural Center for July 3, 2017 proceeded. This machiavellian manoeuvre should be admonished. The purpose of the Croatian Consulate is to protect the United States public from abuses of privileges and immunities by members of foreign missions. Our first attempt for reconsideration came shortly after the Entertainment and Facilities Committee meeting on May 9, 2017, hand delivered personally to Laura Hill and mailed to Buscaino’s office on June 21, 2017. With no response, follow-up with Hill occurred on the June 27, again mailed and hand-delivered with hundreds of signatures from the communities in opposition of this motion for reconsideration but again, no response. In the end, the Croatian Cultural Center was shutdown under false pretenses. Maya Bristow was the indefatigable energy that propelled the Croatian Cultural Center to be an international hub of creative outlet. When not in use by Croatians, other communities were welcome to showcase their cultural programs. Maya has built a bridge of goodwill with other countries and succeeded to promote Croatia in the best of light. I thank Maya and the Croatian Cultural Center for the beautiful memories of music, dances, arts, friendship and camaraderie. Thank you, Maya Bristow, for all the years that you have spent trying to make the Croatian Community in San Pedro more visible through the programs of Croatian art and culture that you have presented to the people of Los Angeles. You have been inclusive in extending goodwill and friendship to all other cultures in Southern CA to enable them to present their cultures and traditions to the world, when space and time were available at the Croatian Center. In this day and age, people should realize that we are all citizens of the world, brothers and sisters to all cultures, race and color, and exclusiveness is a thing of the past. Inclusiveness is the appropriate term and Maya Bristow has embraced and promoted this feeling among the multicultural people of Los Angeles. For this, we are appreciative because she has done her bit to promote world peace and brotherhood rather than segregation, racism and all the apt terms you can come up to create exclusivity and disharmony. 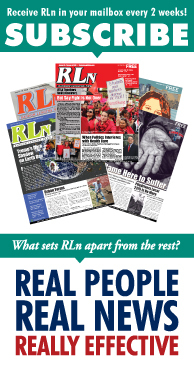 Peace amongst all people is what we all desire, and we all have to work hard to achieve that especially in this multicultural society of Los Angeles. It will not come easy if the mind-set of people who lead is still backward, closeted in their own world!